Hello Inspy Romance friends! Shout-out to my good friend Deb Kastner for inviting me to blog today. My name is Danica Favorite, and I write historical romance for Love Inspired Historical. Not only do I write, but I’ve also been hard at work putting together a retreat for writers. The theme of my retreat is all about self-care and nourishing yourself. Which is an important topic for me, and I believe it applies to all of us, not just writers! We live in such a fast-paced world that it seems like we’re always on the go. We always have too much to do. I write, I have a full-time job, I have a very active family, I’m a parent volunteer in my kids’ activities, and I’m trying to launch a business. Crazy, right? Where’s the time for me? I’ve learned that the only way I can maintain such a fast pace is to take the time to take care of myself. When I start snapping at my husband, snapping at my kids, and being grouchy, I can always trace it back to not having enough me time. Sometimes we hesitate to do something special for ourselves when there is work to be done, a family to care for, and a never-ending to do list. I’ve sometimes thought I was being selfish when I’ve taken an afternoon for myself. But here’s a little secret: I am a better wife, mother, worker, and writer when I make the time for me. I fill my mind, body, and spirit with things that are good for me so that I have something to give everyone else. They don’t tell you on the airplane to put on your oxygen mask first just so you can look silly for your kids. No. They know that you can’t help your kids if you’re gasping for air. If you’re a writer, I’d love to have you come to my retreat in November. If you’re a reader, you can still come, but we will talk about some writer stuff too. If you can’t go, be sure to sign up on the retreat page for my newsletter to get tips on creativity and other fun self-care topics. In closing, here is my challenge to you: TODAY, take some time to do something to care for yourself, whether it be to take a walk, read a good book, have a luxurious bubble bath, eat your favorite food (and really savor it, don’t just gulp it down on the way to someone’s practice), or something that you really love that will fill your body, mind, or spirit. You are worthy! So give yourself this gift. And, for those of you who post saying that you did something to care for yourself today, I will enter you in a drawing for a copy of The Lawman’s Redemption. 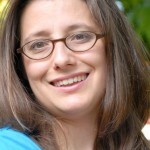 Multipublished author Danica Favorite loves the adventure of living a creative life. Living in her dream home in the mountains, Danica is passionate about helping others live their dreams. After all, what fun is living your dreams alone? Ooh, I LOVE this!! And I love that you’re letting your hubby spoil you! I’m laughing. Your blog post is wonderful. I’m laughing because I have a head cold and I have to take care of myself. I’ve been in a fluffy, warm comfy bed with big soft pillows trying to recover. I’ve been drinking hot tea and in spite of the luxury I still feel miserable. Sigh. Blessings! ugh, head colds are the worst! I hope once you start feeling better, you keep taking care of yourself. Sometimes we push too hard when we’re feeling better instead of easing back into life. Hugs! Cheering you on, Danica. This is a pet topic for me, and I’m glad to see someone else talking about it too. I hope your retreat is a great success. Thanks so much Kimberly! Yes!! This is a passion of mine because I see too many of us women and writers struggling with burnout. We need to care for ourselves to be the best we can be. We do get so focused, don’t we? I was raised that Mom put her husband and family first (probably in the other order!) and it was hard to realize your oxygen mask principle above is so vital. It CAN be a fine line between selfishness and self-care, and a balance must be found so all a family’s needs can be met. Even as an empty nester, I still struggle with this. It can be a fine line, but I’m amazed how often people see it as selfishness first. I’ve met very few people whose self care is selfishness, which tells me that we’re still stuck in the trap of thinking we’re being selfish when we’re just being wise. It’s hard to evaluate what’s best for everyone, that’s for sure! Hi Danica! If anyone needs a retreat, it’s you, my friend. I see you all over the internet. :) I don’t know how you do it all. Living with a chronic disease, I know the importance of taking time for ourselves. Stress is the number one cause of so many health issues, it’s imperative that we all take time to slow down and enjoy the journey. Deb, thanks for inviting Danica. Thanks! I am definitely all over the place, but that’s my job. :) And yes, stress contributes so much to illness. What’s crazy (and wonderful!) is that I don’t get sick (even with colds) when I’m not taking care of myself. And, when I do get sick, I can always trace it to not taking care of myself. Women do tend to care for others and not so much for themselves. Well, I went and got me a diet coke and a donut! lol! I plan on working some this morning and then take the rest of afternoon and read. Yay you!!! I wanted to sleep in this morning, but I had a repairman coming to the house. Maybe tomorrow! I have the day off from work because of the rain we are having in Hampton Roads. So as inreward to my self I slept in until after 7. That’s late for me since I get up at 5 am normally. Next I am going to try and finish up the book i am reading and relax in this weather. Sounds like a perfect day to me!! Go Deb!! Guilt is the worst, and I so know that one. But I know how hard you work, and what an amazing mom you are, so go enjoy your birthday, your time with your honey, and of course, your beloved Texas Tenors. You deserve it! My, you have your hands full. I spent my morning being pampered at the beauty shop. You should have seen all the hair I left on the floor. LOL It always feel so good when I get my hair trimmed up and thinned out. This afternoon I’m enjoying sitting outside in the garden swing under the shade tree reading my book. Oh, I like the idea of the garden swing. Sounds like you had a wonderful, pampering day! Hi Danica, I had the chance after work today to get a caramel frap and read a Tamara Leigh novel! It was a lovely break from a stress filled month of September. And tonight I get to go to a dance lesson and dance with my hubby. Keeping my fingers crossed that this remains stress free ;-). I will definitely keep my fingers crossed for you! One of the best things I ever did for my marriage was take dance lessons with hubby. He gets to have me in his arms for a whole hour! :) So glad you got your stress break! I already have this book Danica, so no need to enter my name….unless you have another title to offer….lol, just kidding! Loved reading this post today & finding all the ways and times I really do have to take care of myself. Blessings! What a gift to have all that great time to relax and read. It sounds like you’ve got a lot of great self care happening. Margaret, you’re my winner. 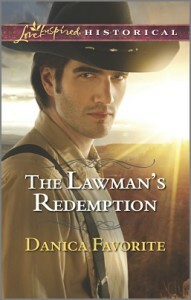 Email me at danica at danicafavorite.com with your mailing address and I’ll get your book off to you! Love it, Katie!! Hope you had a great day! So glad you go to sleep in! Hope you are still feeling rested! Thanks Narelle! Wish you lived closer too!